The Toronto Raptors are signing free agent guard Jodie Meeks to a 10-day contract, according to ESPN's Adrian Wojnarowski. When completed, the signing brings the Raptors up to the league-mandated roster of 14 players, notes TSN's Josh Lewenberg. He hasn't played in 10 months after violating the NBA's anti-drug program last April. The 10-day deal gives the Raps flexibility in case somebody else becomes available before the March 1 waiver deadline, adds Lewenberg. 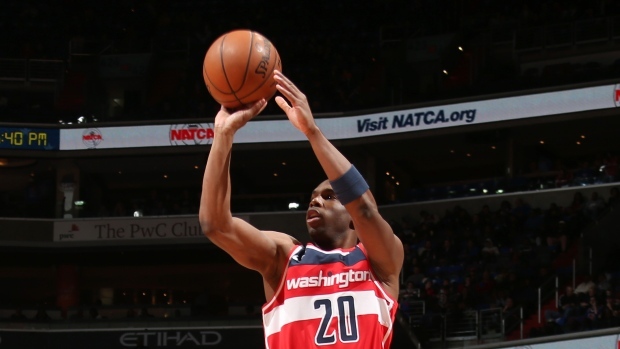 Meeks played 77 games last season with the Washington Wizards, averaging 6.3 points per game to go along with 1.6 rebounds and a three-point percentage of 34.3. For his career, Meeks is a 37.2 per cent shooter from beyond the arc and 41.8 from the field. The 31-year-old veteran has had stints with the Milwaukee Bucks, Philadelphia 76ers, Los Angeles Lakers, Detroit Pistons and Orlando Magic prior to his time in Washington. He was drafted 41st overall in 2009. The Raptors will return from the All-Star Break on Friday when they host DeMar DeRozan and the San Antonio Spurs.